Saguenay, January 15, 2019 – The Saguenay Port Authority (SPS) is pleased with the announcement of a grant from the Ministère des transports du Québec to Barrette-Chapais Ltée for the development of reception, storage facilities and expedition of wood pellets at the port of Saguenay. It is a structuring project that the SPS is very proud to welcome on its industrial-port area and which emphasizes more than ever that the Port of Saguenay is the port of Saguenay-Lac-Saint-Jean and Center North of Quebec. The General Manager and CEO of the Saguenay Port authority, Mr. Carl Laberge, is please with “this excellent news which contributes to the development of our industrial-port area and the economic development of our region. The project itself will result in an increase in the volume of exports and a beneficial economic activity for Saguenay-Lac-Saint-Jean and Jamésie.” In fact, the development of multi-user wood pellet storage infrastructure on the Port of Saguenay lands supports a chain of forest values set up by Barrette-Chapais Ltée and will have a positive impact with a range of exceeding the limits of the region. 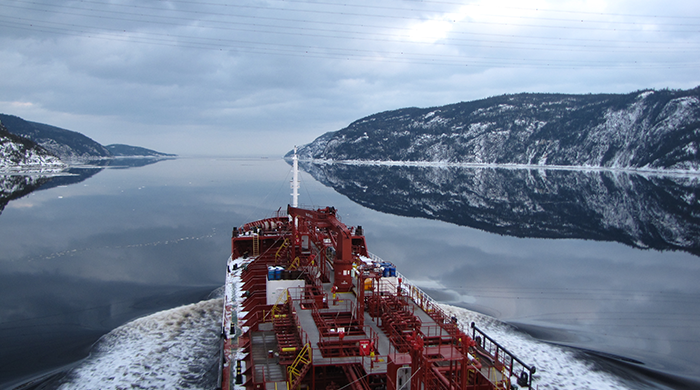 Established on May 1, 1999, the Saguenay Port Authority’s mission is to provide the services and infrastructures necessary to facilitate and increase the movement of people and goods at competitive costs, while respecting the stringent conditions for security and sustainable development. In addition to promoting domestic and international trade, its activities contribute significantly to the socio-economic objectives of the communities in the region.